Auditory Integration Training - AIT can help a person to relieve symptoms of tinnitus or ringing in the ears. The 10 days, 20 sessions of AIT have been demonstrated to educe symptoms of tinnitus in many cases! "I did use AIT with 65 yr old female a number of years ago. She reported a reduction in the tinnitus. She exhibited fewer complaints of tinnitus as reported by her family members." Tinnitus is the ringing or buzzing in the ears. Tinnitus is a symptom associated with many other health conditions. It is not a disease itself, but a symptom of other underlying health condition. In most cases, tinnitus is a sensor-neural reaction in the brain to damage in the ear and auditory system. While tinnitus is often associated with hearing loss, there are roughly 200 different health disorders that can generate tinnitus as a symptom. Below is a list of some of the most commonly reported catalysts for tinnitus. Those who experience tinnitus should see their medical or a hearing health professional for a full examination to diagnose the underlying cause of symptoms. In some cases, treating the root cause will alleviate the perception of tinnitus. Tinnitus is a potential side-effect of many prescription medications. However, in most cases and for most drugs, tinnitus is an acute, short-lived side-effect. If the patient stops taking the medication, the tinnitus symptoms typically go away. However, there are some ototoxic drugs known to cause more permanent tinnitus symptoms. Consult your subscribing physician or pharmacist. Don't stop taking any medication without consulting with your healthcare provider. The risks of stopping a medication may far exceed any potential benefit. Ototoxic drugs here. It can be the result of taking ototoxic medications. Only a trained healthcare provider can appropriately diagnose the underlying cause of tinnitus. Age-related hearing loss: This is when hearing deteriorates as people get older. It usually start around age 60. This type of hearing loss is often in both ears. 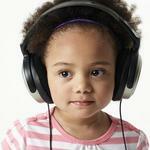 It involves the sensory loss of high-frequency sounds. Tinnitus in seniors is prevalent due to age-related hearing loss. Noise-induced hearing loss: Noise induced hearing loss is sometimes in one ear only and typically causes a person to lose hearing around the frequency of the triggering sound trauma. Exposure to loud noises in a single traumatic experience or over time can damage the auditory system and result in hearing loss and sometimes tinnitus as well. Traumatic noise exposure can happen at work such as working with loud machinery. It can also happen at loud sporting events, concerts, or recreational activities. An accident such as a backfiring engine can cause damage. Noise induced hearing loss is sometimes one ear only and causes patients to lose hearing around the frequency of the triggering sound trauma. Hearing Loss Perception: An existing hearing loss is sometimes not directly observable by the person. They may not perceive any lost frequencies, but the damage has not been done. A trained audiologist or other hearing health professional can perform sensitive audiometric tests to precisely measure the true extent of hearing loss. 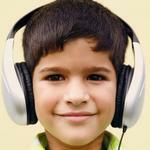 Brain Changes With Hearing Loss: Certain sound frequencies leads to specific changes in how the brain processes sound. As the brain receives less external stimuli around a specific frequency, it begins to adapt and change. Some researchers believe that tinnitus may be the brain’s way of filling in the missing sound frequencies it no longer receives from the auditory system. Severe injury to the head or neck can cause nerve, blood flow, and muscle issues that result in the perception of tinnitus. Those who began their condition after head and neck trauma often report higher tinnitus volume and perceived burden, as well as greater variability in both sound, frequency and location of their tinnitus. Tinnitus related to head, neck or dental issues is sometimes referred to as somatic tinnitus. Acute barotrauma which is caused by extreme or rapid changes in air or water pressure can also damage the middle and inner ear. Temperomandibular joint disorder (TMJ) can be associated with tinnitus. TMJ occurs where the lower jaw connects to the skull, in front of the ears. Damage to the muscles, ligaments, or cartilage in the TMJ can lead to tinnitus symptoms. This joint, the TMJ, is adjacent to the auditory system and shares some of the ligaments and nerve connections with structures in the middle ear. Those with a TMJ disorder may experience pain in the face and/or jaw, limited ability to move the jaw, and regular popping sounds while chewing or talking. A dentist, craniofacial surgeon, or other oral health professional can diagnose and often fix TMJ issues. Fixing the TMJ disorder will often stop the tinnitus symptoms. Traumatic Brain Injury, caused by concussive shock, can damage the brain’s auditory processing areas and generate tinnitus symptoms. TBI is the major reason for tinnitus in military and veteran populations. Nearly 60% of all tinnitus cases diagnosed by the U.S. Veterans Administration are attributable to mild-to-severe traumatic brain injuries.